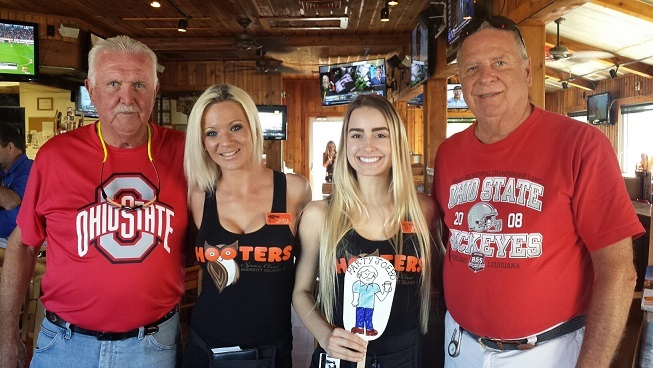 During a cold windy night in February Jerry and Sherry snuck out of town, and headed south to Florida along with a traveling friend Party Joebo. They went down to Florida to spend a few months. A little later Paul and Connie joined them for awhile. 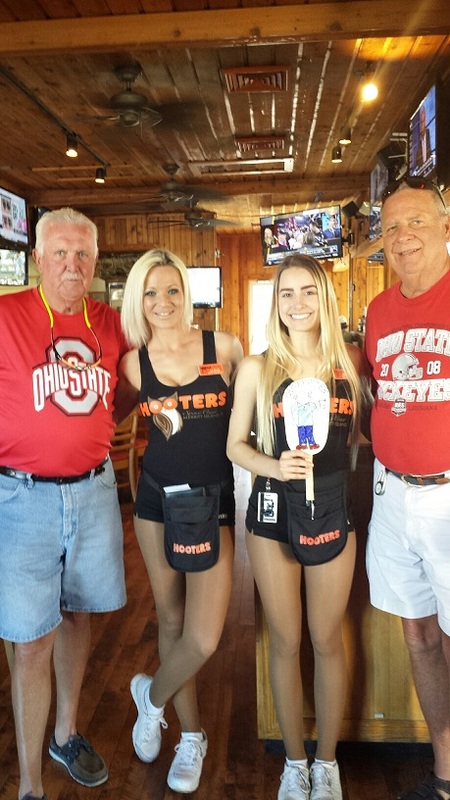 When in Florida Jerry always visits the Hooters Restaurants. This time was no exception as you can see from this page. 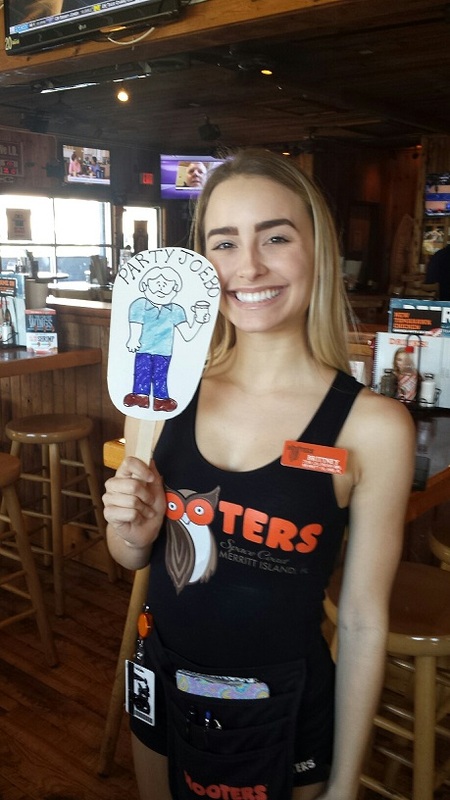 The couples found a Hooters that Jerry had been to many times. 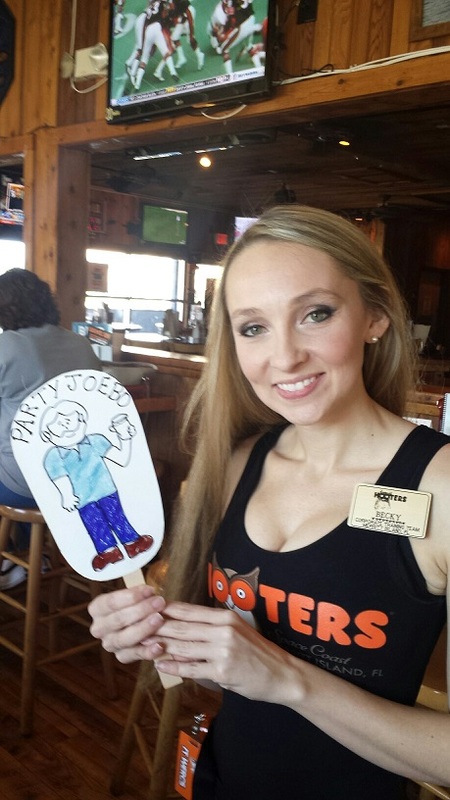 Paul is seen in the pics with Jerry and the Hooters Girls. Someone had to take the pictures. In the two pictures below are (L-R) Paul, Alecia, Britteney, and Jerry. The two pics below that are Britteney, and Becky. Of course Party ia in all of the pics. Lucky guy!